Also, Lalo and Saint-Saens Cello Concertos. Janos Starker, cello; Stanislaw Skrowaczewski and Antal Dorati, London Symphony Orchestra. Mercury SACD 475 6621. You want a great soloist and a great orchestra to produce a great performance, and you want the engineers to capture it in great sound. It doesn't happen very often, but in the case of the three cello concertos on this Mercury SACD, recorded in 1962 and 1964, all the elements come together perfectly. 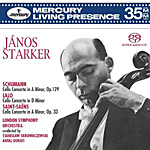 I've always thought of Janos Starker's cello playing as somehow very masculine. Maybe it's because of his no-nonsense approach to interpreting the music; maybe it's his direct, straightforward, well-controlled style; or maybe it's just his name that influences my perception of him, his technique unadorned by frivolous mannerisms or lightweight sentimentality. In any case, he is superb in the Schumann Concerto, strong and authoritative in the big, extrovert parts, yet sensitive in the more lyrical sections. The reading doesn't entirely displace those of Ma (Sony), Harrell (Decca), or Rostropovich (EMI), but it's right up there with them, and when you consider the excellence of the accompanying two concertos from Lalo and, especially, from Saint-Saens, the combination makes the album a tempting buy. Now, throw in Mercury's superb sonics. I don't know if the disc sounds this good on all systems or if it just thoroughly complements my VMPS RM40 speakers, but all three works come across sounding as good as anything you'll find on disc today. The cello is a touch close, to be sure, but it's a natural kind of closeness, given the depth and breadth of the orchestral field behind it. No metallic edge, either, just a smooth realism to the sound of all the instruments in impeccable clarity. The Mercury engineers reproduce the performances in SACD three-channel stereo and SACD two-channel stereo on one high-density layer of the disc and in standard two-channel stereo on another layer, the hybrid CD playing back on either an SACD or standard CD machine. Beth Levin, piano. Centaur CRC 3046. Beethoven wrote his popular Diabelli Variations late in his career, around 1819-1823. The collection, more precisely labeled the Variations on a Waltz by Diabelli, Op. 120, is one that critics and musicians today hail as among the greatest piano works of all time. Beethoven undertook it as a project begun by composer and publisher Anton Diabelli, who sent a little waltz out to a number of composers asking them to write a variation on it, which he planned to collect and publish. Beethoven decided to write thirty-three variations rather than one, the results of which have entertained countless fans ever since. There have been over the years any number of topflight recordings of the Diabelli Variations, including excellent stereo versions by Kovacevich (Philips), Brendel (Philips), Barenboim (DG), Kinderman (Hyperion), Frith (ASV), Donohoe (EMI), Anderszewski (Virgin), and others. Now, following her Centaur release of Beethoven's Goldberg Variations in 2008, we get pianist Beth Levin's fine new 2011 version of the Diabelli Variations to vie for our attention. The thing is, there are so many possibilities for interpretation in the Diabelli Variations, it's hard to pick any one performance of them as the best of the lot. I mean, there are, after all, thirty-three separate pieces here, each of them going its own way after Beethoven introduces the initial theme. In other words, a pianist has a lot of room to maneuver. My own favorite remains Kovacevich, but I'm biased toward his work. Ms. Levin takes the opening theme, marked Vivace, at a sprightly pace, though not too fast, providing a cheerful beginning to the proceedings. From there, Ms. Levin plays each succeeding variation in as much a contrasting style as possible from the heavy first variation to the lighter, more witty, more complex following ones, the dramatic ones, the exciting ones, and the quiet final ones. Beethoven appears to have been having a field day with these numbers as he playfully intersperses bits and pieces of various styles in the mix. While Ms. Levin's rendering may not always unlock the full power and utmost potential of the work as a whole, it does express a pleasingly relaxed and genial spirit. Ms. Levin also conveys a successful sense of forward momentum as the work progresses, even though I personally tended to enjoy the quieter moments from her a tad better than the more-extroverted passages. 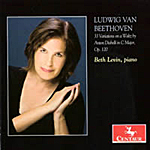 The Variations are among the most adventurous pieces of music Beethoven wrote, some of them sounding positively modern, and Ms. Levin takes her time allowing them to unfold smoothly and naturally for maximum effect. As they should be, these are highly individual readings, imbued with an often gentle and always sincere attitude. Recorded live on November 8, 2009, at Settlement Music School, Philadelphia, PA, the sound is miked close enough to capture detail without picking up too much audience noise (the occasional cough and wheeze aside). In fact, about the only time the audience makes us aware of their presence is when they inevitably burst into applause at the end. Otherwise, they are commendably quiet. The piano tone displays a high degree of clarity yet with a pleasant acoustic bloom around the notes, making for a warmly realistic effect. Various selections, conductors, and orchestras. EMI 50999 0 82658 2 1. Bits and pieces. In this case, the disc contains "summertime" music, culled from EMI's vast back catalogue of stereo material. I'm never sure how to approach these kinds of discs, collections of short works, in this case fifteen selections. It's not really something most serious classical-music fans might sit down and listen to, since everything is incomplete--a movement here, a movement there. Maybe as background music. Maybe as music for the car. Or maybe, just maybe, as a sampling of what's out there in longer form. Because all of the tracks on the disc come from well-known conductors and orchestras, it may be a good chance to hear something you might want to buy complete. Or, who knows, maybe among all the bits and pieces, there's something you've never heard before, something to explore in greater depth. In any case, the music, brief and fragmented as it may be, is enjoyable. EMI's jewel box describes the program saying, "Summer is the season of music--from the chirping of birds to the buzzing of flies, the rushing river to the rustling of flowers in the breeze, that infinite stillness that hangs in the air as the sun sets behind the trees. This collection of timeless recordings celebrates the sounds of those hot summer days and cool summer nights." I won't try to comment on everything; let me just list the items on the disc and then point out the ones I enjoyed most. I liked the Linde Consort in the Handel number for its full, spirited approach to the music. The Debussy moves along lightly and gently under Pommier. Pianist Ingrid Fliter plays the little Chopin waltz with dazzling but expressive technique. I've always thought Previn's Tchaikovsky ballet music was among the best available, and his Nutcracker excerpt reinforces that opinion, the piece also being among the best recorded in the collection. The Mozart Clarinet Quintet with Sabine Meyer is charming, as is the Bach Air with Ledger and the English Chamber Orchestra. Finally, Arvo Part's Spiegel im Spiegel fairly floats across the sound stage and makes a fitting conclusion for the tranquil mood of the program. EMI recorded most of the sound between the 1960's and the present (or 2008), and it lives up to the company's high sonic standards. However, the opening number, Sunrise from Ferde Grofe's Grand Canyon Suite with Leonard Slatkin and the Hollywood Bowl Orchestra, one the oldest recordings on the disc, is rather dull and hollow by comparison to the other selections. The rest of the items display commendable transparency, clean highs, maybe not the deepest but adequate bass, and fine orchestral depth and breadth, with Marriner's Stuttgart Offenbach, Rattle's City of Birmingham Stravinsky, and Previn's LSO Tchaikovsky standing out for their sonic quality. 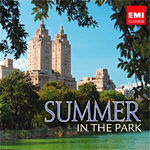 This 2011 release, Summer in the Park, is the fourth in a series of similarly themed collections from EMI, the first three being Autumn in the Park, Springtime in the Park, and Christmas in the Park. New York, NY – Much has been made over Gabriel Kahane's ability to transcend rigid genre classifications. His compositions--which range from probing classical song cycles to joyous theater pieces to raucous indie hits--are far more concerned with exploring his musical potential than fitting in with a particular market niche. This summer, Kahane will be featured as the Composer-in-Residence at the Bravo! Vail Valley Music Festival, a six-week concert series known for its diverse programing and wide range of musical offerings. The two are a perfect fit. As the Composer-in-Residence, Kahane will perform two nights of music and premiere a new commission, a short cycle of songs called Come on All You Ghosts. On July 19, he will present one of the Festival's four "Soirées", at which audience members can enjoy food and drink while Kahane entertains from the piano. 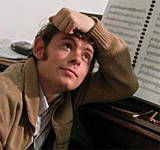 The program, entitled "An Evening with Gabriel Kahane: Music for the Ear, Intellect and Soul," will highlight in an intimate setting Kahane's lieder/songs shaped by wry stories and direct personal emotions. The following night, July 20, he offers "The Artistry of Gabriel Kahane," supported by an ensemble that comprises the Calder Quartet and seven New York-based instrumentalists, complete with the world premiere of Come on All You Ghosts. The piece is based on poems by San Francisco poet Matthew Zapruder. The Bravo! Vail Valley Music Festival was founded in 1987 by John Giovando, an attorney with a love of classical music, with eminent violinist Ida Kavafian. Through world-class performances, dedicated leadership, and generous support from the community, the Festival has grown from attracting a handful of attendees to an annual audience of more than 60,000. This season, celebrated pianist Anne-Marie McDermott serves as artistic director. The festival is organized into ten different theme, including "Beethoven: Architect of Humanity," "Golden Twilight: The Music of Mahler," and "Big Music for Little Bands," among others. Nestled in the Colorado Rocky Mountains, Bravo! will feature three of America's greatest orchestras: the New York Philharmonic, the Philadelphia Orchestra, and the Dallas Symphony Orchestra. In addition, more than fifty distinguished soloists visit the Vail Valley to perform in chamber ensembles and as soloists with the three world-class resident orchestras. The Philadelphia Inquirer's David Patrick Stearns observes, "Few if any classical music institutions west of the Mississippi have flourished as Bravo! has." Writing and performing music that moves effortlessly from dense modernism to vernacular song, Gabriel Kahane has established himself as a leading voice among a generation of young composers redefining music for the 21st century. Hailed by the Los Angeles Times for "an all around dazzling performance" in his orchestral debut at Walt Disney Concert Hall with the Los Angeles Philharmonic earlier this year (in the premiere of his song cycle Orinoco Sketches, conducted by John Adams), Kahane moves with ease as a performer between musical realms. Performance highlights of the 2010-11 season included sold out concerts with artists as varied as Chris Thile and Brad Mehldau, the cellist Alisa Weilerstein, as well as with his father, the noted pianist and conductor Jeffrey Kahane, with whom he collaborated on a critically acclaimed duo recital. Throughout his career, Kahane has performed and/or recorded with Sufjan Stevens, Rufus Wainwright, Punch Brothers, and Audra McDonald, who has incorporated his songs into her repertoire. Launched by his 2006 song cycle "Craiglistlieder," Kahane's rapid ascent as a composer continues to bloom. He is also an in-demand theater composer, having received commissions from the Signature Theater in Arlington, VA, and the Williamstown Theater Festival in Massachusetts. A 2010 MacDowell Colony fellow, Kahane makes his home in Brooklyn, New York, in close company with a century-old piano and many books. Centennial, Colo. – June 22, 2011: Zubin Mehta conducts the Israel Philharmonic Orchestra in the breathtaking city of Jerusalem with a special one-night event featuring soprano Renée Fleming and tenor Joseph Calleja. NCM Fathom and Mod 3 Live present "Live from Jerusalem: An Evening with the Israel Philharmonic Orchestra, Conducted by Zubin Mehta with Soloists Renée Fleming and Joseph Calleja" on Thursday, July 28 at 7:00 pm (local time). Filled with majestic arias and duets, the performance includes a sweeping visual and audio experience that will bring down the curtain on the Jerusalem Season of Culture 2011. Tickets for "Live from Jerusalem" are available at participating theater box offices and on-line at www.FathomEvents.com. For a complete list of theater locations, please visit the Web site (theaters and participants are subject to change). Set before the beautiful backdrop of the Jerusalem landscape, "Live from Jerusalem" will take audiences of all cultures and generations on a journey to Jerusalem to experience exclusive performances conducted and performed by the world's greatest talents. Known as "America's Beautiful Voice," Renée Fleming has a devoted international following wherever she appears, whether on the operatic stage, in concert or recital, on television, radio or on disc. One of the most beloved and celebrated musical ambassadors of our time, Fleming captivates audiences with her sumptuous voice, consummate artistry and compelling stage presence. Known as "the people's diva" and named the No. 1 female singer by Salzburger Festspiele Magazine in 2010, she continues to grace the world's greatest opera stages and recently received her third Grammy-award for the Decca recording, "Verismo." Already one of the tenors most sought after by leading opera houses on both sides of the Atlantic, Joseph Calleja has routinely been compared to "legendary singers from earlier eras: Jussi Björling, Beniamino Gigli, even Enrico Caruso" (Associated Press). The Maltese tenor's recent successes include role debuts at the Metropolitan Opera and at the Royal Opera House, Covent Garden. Calleja's engagements have placed him in 28 leading roles and taken him to virtually every major European city, an outstanding achievement for a 33-year-old. An exclusive Decca Classics recording artist since 2003, his new recording The Maltese Tenor will be released in the U.S. this fall. Internationally-renowned orchestral and operatic conductor Zubin Mehta has had a remarkable association with the Israel Philharmonic Orchestra (IPO) for five decades. He was appointed the orchestra's music director in 1969, a position that was extended for life in 1981. The bond that was established between Mehta and the IPO, Israel's finest cultural emissary, has grown into what he calls a "lasting marriage" of creative prosperity. For his outstanding work with major orchestras and opera companies around the world Mehta has garnered numerous awards including a Kennedy Center Honor in 2006 and a star on the Hollywood Walk of Fame in 2011. Beethoven: Trio in B-flat Major, Op. 97 "Archduke"
Also, En Saga, The Swan of Tuonela, and Valse Triste. Ole Schmidt, Royal Philharmonic Orchestra. Royal Philharmonic Masterworks RPM 28910. Ever since the Royal Philharmonic Orchestra began producing their own discs in their Royal Philharmonic Masterworks Audiophile Collection, they've given us some fine recordings led by some fine guest conductors. They produced the present, 2011 Sibelius release in 2007 with the late Danish conductor and composer Ole Schmidt (1928-2010). He had probably conducted Sibelius about a thousand times in his lifetime, so it's good to be able to hear this recording from him. The album begins with the Symphony No. 5 in E-flat major, Op. 82, which Jean Sibelius (1865-1957) premiered in 1915 at the beginning of the First World War, revising in 1916 and again in 1919. It comprises only three movements, the revised version melding the first two movements into one. With its grand gestures, the symphony sounds like typical Sibelius, especially in its wonderful theatrics. Schmidt takes a gentle, leisurely opening tempo, building to a vigorous "sunrise" turning point and then moving along more briskly from there. The conductor leads the music with an extraordinarily sensitive touch, the poetry and grandeur of Sibelius's music always in the fore. Schmidt continues in this vein throughout the Andante, with its continuous pizzicato notes seeming more urgent than usual. After a curiously abrupt conclusion to the slow movement, the final Allegro molto seems a virtual eruption of sound, and Schmidt isn't afraid to emphasize the contrasts. The music Sibelius called the "flight of the wild swans" makes a momentous and eloquent entrance, capping a rewarding performance of the work. While I would not give up first-choice recommendations for Colin Davis (Philips or RCA), Simon Rattle (EMI), or John Barbirolli (EMI) for this new release, it's certainly in the running. 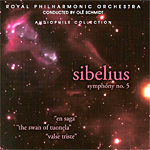 Next on the agenda are three Sibelius tone poems, starting with En Saga, Op. 9. It's an early piece that the composer felt compelled to modify and revise over the years (1892-1901), giving us the music we know today. It doesn't really tell a story per se, yet it always reminds one of some great Nordic ballad or other. Schmidt seems to take pleasure in playing up the mythic qualities of the score, and he generates quite a lot of excitement in the process, yet with much lyric beauty. For me, this performance is the highlight of the disc, one of the best versions of the music I've heard in ages. Next up is The Swan of Tuonela, Op. 22 (1893), a part of Sibelius's Four Legends, evoking an eerie setting of the bird on the lake of death between the lands of the living and the dead. Schmidt produces a few goose bumps here, and under his direction the music shimmers with a creepy yet thoroughly engaging delight. The program concludes with the brief Valse Triste, Op. 44 (1904), a dance of death from the play "Kuolema." Schmidt never lets it slip into parody, maintaining the music's tensions and edge to a high degree. The sonics in this 20-bit digital recording are exceptionally smooth, if a little underwhelming in terms of ultimate transparency, at times even sounding a bit too soft. Although there is a wide stereo spread, there is also a slightly flat orchestral perspective from the moderately distanced miking, in which only the percussion present any discernable depth. Fortunately, the recording also displays a strong dynamic range, a well-defined string tone, and a solid bass line, helping the music appear as grand as the music-making. Also, Songs of a Wayfarer; Discussion. Christopher Maltman, baritone; Benjamin Zander, Philharmonia Orchestra. Telarc CD-80628 (2-CD set). One can hardly complain about the dollar value involved here: You not only get two discs for the price of one, you get Mahler's Symphony No. 1, his Songs of a Wayfarer, and a lengthy talk by the conductor, Benjamin Zander. 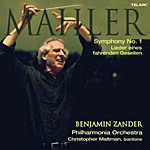 None of this would be worth anything, of course, if the music wasn't up to par; but those of you who have heard Zander's previous Mahler recordings for Telarc know that he is a competent Mahlerian who knows the music inside and out. The works on this disc are no exceptions. I'm not a big fan of Mahler's song cycles, but it's nice to have the Songs of a Wayfarer coupled with the First Symphony since the two pieces seem so intimately bound together in Mahler's personal life. Christopher Maltman, a baritone, rather than the usual mezzo-soprano, sings the Wayfarer Songs, but Mahler never specified a voice, and the words of the songs would seem to call for a man. Mr. Maltman renders them beautifully and movingly. Mahler filled the Symphony No. 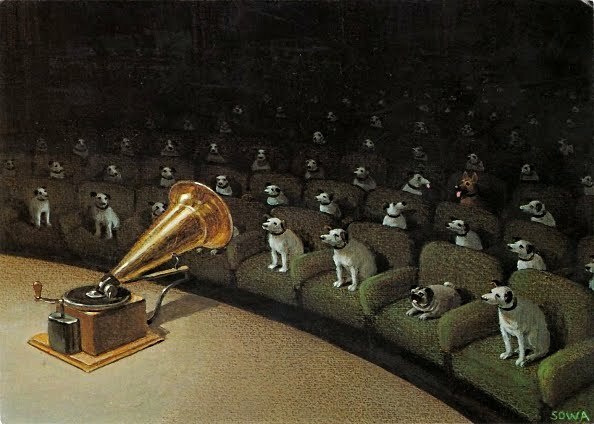 1--big and youthful, light and hushed, open and ironic--with all the contrasts that have made the composer a public favorite over the years, especially in the stereo era where the demands for huge ensembles and wide dynamics have brought out the best (and the worst) in home audio systems. Zander's way with the music is fairly straightforward, always affectionate but never pushy. I can't say his interpretation displaced my own favorites--Mackerras (EMI), Horenstein (Unicorn), Solti (Decca), or Tennstedt (EMI), each of whom adds a special element of his own to make the results a little more personal--but Zander's less idiosyncratic performance is certainly welcome in field that invites eccentricity. Telarc's sound is also up to the challenge, with an especially well-focused bass line. The second disc contains a lecture from Zander that is almost eighty minutes long on Mahler's First Symphony and the Wayfarer Songs. He covers the background and history of the works and uses ample excerpts from his own recordings to emphasis his points. Two minor quibbles: Telarc provide nine track stops for the lecture, but they don't label them anywhere in the booklet or on the jewel box. It would have been nice to be able quickly to jump to a specific part of Zander's remarks. In addition, Zander sounds so knowledgeable and authoritative in his discussion, it's hard to knock his recorded performance in any way. I mean, what mere critic would dare to suggest he isn't right about something he knows so thoroughly? Well, I can, I suppose, finding his performance, as I've said, letter-perfect to a fault but somehow lacking compared to the freer and more individualized interpretations of a few other conductors. Still, I can hardly do otherwise than recommend this issue to anyone interested in enjoying Mahler's work and, more important, appreciating it all the more through a greater understanding of what it's about. Also, Rhapsody on a Theme of Paganini. 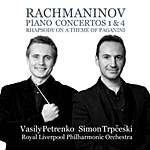 Simon Trpceski, piano; Vasily Petrenko, Royal Liverpool Philharmonic Orchestra. Avie AV2191. Sergei Rachmaninov (1873-1943) wrote his Piano Concerto No. 1, Op. 1, in 1891, while he was still a teenage student at the Moscow Conservatoire. But he didn't revise it in the form we know today until 1917, well after audiences grew to love his Second and Third Concertos. Consequently, it never did match the popularity of the other works, perhaps rightly so, too, as it is a rather youthful piece, full of helter-skelter ideas. Apparently, the young Rachmaninov tried to put everything into it but the kitchen sink. In any case, with pianist Simon Trpceski and conductor Vasily Petrenko (who earlier gave us the two middle concertos) the First Concerto is dreamy when it needs to be dreamy, powerful, dramatic, sentimental, and sensitive when it needs to be powerful, dramatic, sentimental and sensitive. Trpceski and Petrenko play as one, with the pianist providing the substance and the conductor and orchestra filling in the accompaniment as though a part of the piano. In other words, they work well together. By the time Rachmaninov wrote the Piano Concerto No. 4, Op. 40, in 1926, he was an established superstar pianist and composer. Audiences expected everything from him to be of the caliber of his previous work, particularly the Second and Third Piano Concertos and the Second Symphony. The Fourth Piano Concerto didn't live up; never has. Which is not to say there aren't some good, even wonderful things in it, which Trpceski and Petrenko are more than happy to share. For instance, there is the clearly modern introduction, the sometimes disjointed but entirely intoxicating rhythms, and, of course, the occasional but unmistakable elements of jazzy American blues, no doubt the influence of Rachmaninov having heard George Gershwin's Rhapsody in Blue the year before. Nevertheless, despite the disappointments of the First and Fourth Piano Concertos, the composer was not out of the ball game. In 1934 he wrote his Rhapsody on a Theme of Paganini, Op. 43, based on Niccolo Paganini's Caprice No. 24, and it has won over listeners ever since with its interplay of virtuosic piano parts and a dark Dies Irae chant. Again, the pianist and conductor are at one, the piano hopping, skipping, and jumping around the Paganini variations, and both the piano and the orchestra countering with the funeral tune. Trpceski displays his dazzling finger work and Petrenko his unfailingly sympathetic support to produce a remarkably moving new interpretation of the score. Avie recorded the performances at Liverpool Philharmonic Hall, Liverpool, England, in 2009 (Rhapsody), 2010 (Concerto No. 1), and 2011 (Concerto No. 4). In each case, the sound is somewhat close, with a broad stereo spread and a relatively clean piano tone but not the best midrange transparency or orchestral depth. However, an exceptionally wide dynamic range and a strong impact help make up for any minor drawbacks. Besides, the size and warmth of the sonics tend to complement the Romantic nature of the music. Artemis Quartet. Virgin Classics 50999 0708342 6. I don't listen to as much chamber music as I should, possibly because I don't receive enough of it to review, possibly because a lot of it sounds alike to me, and possibly because I don't know enough about it. Unfair, I know, but I find myself mostly listening to chamber groups--trios, quartets, quintets, and the like--as dinner music or sometimes as general background music. Which is a shame, because things like these Beethoven quartets have so much to offer, especially when the performances and recording are as good as they are here. I continue to think of the Berlin-based Artemis Quartet (Natalia Prischependo, violin; Gregor Sigl, violin; Friedemann Weigle, viola; and Eckart Runge, cello) as a band of young performers, forgetting that they founded the group in 1989, well over two decades ago. In the meantime, they have risen to the top of their profession, as this new disc attests. With Beethoven's String Quartets Nos. 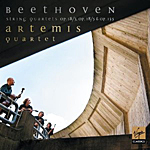 3, 5, and 16, the Artemis ensemble complete their Beethoven string quartet project for EMI Records/Virgin Classics. The disc contains two of the composer's earliest quartets, Nos. 3 and 5 (1800), and concludes with one of his last completed works, No. 16 (1826), the program interesting in its juxtaposition of the fairly chipper earlier pieces with the more somber and mature tone of the final music. The Artemis Quartet play with extreme precision, yet they make generally happy, delightful, radiant sounds. If one could fault them at all, they sometimes seem a bit overly studious. While the performances do not sound quite as emotionally charged as some interpretations I've heard, their more-exacting detail means we miss little the composer has to offer. As one might expect, the early pieces exhibit a more frolicsome quality than the final quartet, and the Artemis players do seem to be enjoying themselves and the music. And despite the relative gravity of No. 16, it goes out in cheerful enough style, Beethoven ending the piece on a sunny note of high spirits, with the Artemis ensemble following suit. EMI-Virgin recorded the performances at Teldex Studio, Berlin, Germany, in 2010 and 2011, with uniformly excellent results. There is fine clarity throughout, with a pleasant air around the individual instruments and a soft ambient glow from the acoustic setting. It's quite realistic, with my only minor quibble being about the rather wide stereo spread afforded the four players. Still, the stereo spread does make the music seem more imposing, as Beethoven's tunes should be, and I doubt that most listeners will find anything but total pleasure in the recording quality. New York, NY - Internationally renowned pianist Jean-Yves Thibaudet prides himself on his ability to get lost in a particular composer's oeuvre, mining even obscure works for poetic insights into the writer's intentions. Thibaudet builds seasons around composers; he makes falling in love with their music the centerpiece of his artistic life. In the past decade, Thibaudet has planned programs and albums around composers such as Frédéric François Chopin, Eric Satie, Franz Liszt, Bill Evans, and George Gershwin. This July, Thibaudet will perform the complete piano works of Maurice Ravel over three days of concerts at Tanglewood. The Boston Symphony Orchestra, under the baton of Emmanuel Krivine, will join Thibaudet on the final day. During the three days, Thibaudet will play the first and last compositions of Ravel's lifetime. On August 5 and 6, 2011, Thibaudet will highlight his commitment to current music at the Cabrillo Festival of Contemporary Music. With Marin Alsop conducting, he will perform Macmillan's Piano Concerto No. 3, The Mysteries of Light and Ranjbaran's Concerto for Piano. Thibaudet gave the world premiere of The Mysteries of Light in April of 2011 with the Minnesota Orchestra. Concerto for Piano was written for Thibaudet and premiered with the Atlanta Symphony. During the 2012-13 season, Thibaudet will continue to tour internationally, playing Debussy in honor of the composer's 150th birthday. Pianist Beth Levin performs a varied programme, including a world premiere composition by Mohammed Fairouz, at Bargemusic. Bargemusic presents chamber music in an unlikely and startlingly beautiful venue--a floating barge at the foot of the Brooklyn Bridge. Both established and emerging musicians perform at Bargemusic on a small stage with the dramatic backdrop of the East River and lower Manhattan skyline. Enjoy a concert of piano music while taking in the breathtaking New York City skyline at Bargemusic. Beth Levin made her debut with the Philadelphia Orchestra at the age of twelve. Soon after, she was selected as one of three students to study with Rudolf Serkin at the Curtis Institute of Music. Her training began with Maryan Filar at the Settlement Music School in Philadelphia. In addition to Rudolf Serkin, her teachers have included Leonard Shure at Boston University and Dorothy Taubman in New York City. She has earned the acclaim of colleagues and critics as an exceptional talent. She made her New York debut in 1982 at the Metropolitan Museum of Art. Recitals at the Gardner Museum, Forum in North Carolina, the Dame Myra Hess Series in Chicago, Harvard University, Randolph Macon College, New York University, Williams College, the Brooklyn Museum, Merkin Hall and Weill Recital Hall followed. She has toured Europe with Trio Borealis and performed the Emperor Concerto with the Symphony Orchestra of Quito, Ecuador. Her live radio broadcasts have aired on National Public Radio, WGBH in Boston, WFMT in Chicago and WNYC, WNYE and WQXR in New York. Appearing as soloist with such orchestras as the Philadelphia Orchestra, Boston Pops Orchestra, Seattle Symphony Orchestra, Boston Civic Symphony and chamber orchestras around the USA, Beth Levin has worked with such conductors as William Smith, Arthur Fiedler, Benjamin Zander, Milton Katims, Silas Huff and Joseph Silverstein. As a Music From Marlboro Artist, she toured the USA and Canada and taped the Hummel Quintet in D minor for Columbia Masterworks. She has collaborated with the Audubon Quartet, the Vermeer Quartet, The Reykjavik Woodwind Quintet, the Daniel Quartet, the Boston Artists Ensemble and the Saratoga Chamber Players. Participation in the Taubman International Piano Festival, Marlboro, Casals, Harvard, Edinburgh Fringe and Blue Hill summer music festivals also resulted. Beth Levin was a founder of the Gramercy Trio and the American Arts Trio. Concert recordings of Schubert's Wanderer Fantasy and Scott Wheeler's Artist Proofs (1998) have been released on the Palexa label. As a soloist and chamber musician, Beth Levin has performed and recorded contemporary works by Alan Campbell, Marc Eychenne, Mohammed Fairouz, Brian Fennelly, Steven R. Gerber, Alexander Goretzky, Louis Karchin, Michael Rose, Andrew Rudin, Scott Wheeler, and David Del Tredici. Nicholas McGegan, Philharmonia Baroque Orchestra. Philharmonia Baroque PBP-02. It's always good to welcome a new recording from Philharmonia Baroque, one of the world's leading period-instruments ensembles. 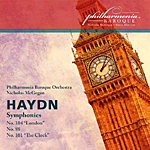 This 2011 Haydn disc is the second release from Philharmonia Baroque Productions, now that they are producing their own recordings. Austrian composer Joseph Haydn (1732-1809) visited England twice at the invitation of London impresario Johann Peter Salomon and Viotti's Opera Concerts, where he composed his final twelve symphonies, Nos. 93-104, two of which we get here, No. 101 in D Major, "The Clock," and No. 104 in D Major, "London." In addition, Philharmonia Baroque throw in No. 88 in G Major for good measure. The program begins with No. 104 (1795), one of the composer's most popular works. It begins with a dark, heavy introduction that reminds one of music from Mozart's Don Giovanni. However, it soon enough gives way to a far more chipper tune, with Maestro Nicholas McGegan appearing at home in both moods. The conductor then takes the Andante at a leisurely yet stately pace, followed by the catchy syncopations of the Minuetto and the wonderfully spirited Finale. Next, we get Symphony No. 88 (1787), two trumpets and timpani accompanying the second movement Largo in several surprising outbursts, an unusual arrangement in those days to say the least. Otherwise, this is a typically buoyant and melodic work, the Minuetto and Finale filled with verve and elan. As usual, McGegan judges every tempo and every contrast for utmost delight. Finally, we have No. 101 (1794), subtitled "The Clock." Again Haydn prefaces the first-movement Adagio with a slow, somewhat somber introduction, soon followed by a sprightly Presto. The second-movement Andante gives the piece its title, the music ticking off the seconds in the manner of a clock. Here, McGegan perhaps takes the pace a little too quickly for the second hand of a timepiece, but it's certainly all in good cheer. The Minuetto and Vivace finale, more complex than they sound, come off as easily as everything else the Philharmonia Baroque play, which is to say with exquisite execution. You'd be hard pressed to find better, more fluid, more elegant, more stylish performances than these, especially on period instruments. The Philharmonia Baroque recorded the symphonies between February, 2007, and September, 2009, live at First Congregational Church, Berkeley, CA. Well, I could have done without the "live" part, since I'm not a big fan of live recordings. Still, they miked this one closely enough that audience noises are seldom a factor. About the only serious drawback is the applause that erupts at the end of each symphony. Such recorded applause always reminds me of the laugh tracks in television sitcoms, unnecessary and annoying. In the future, I hope Philharmonia Baroque consider editing out the applause if they continue to release live recordings. Better yet, maybe they'll go back to making recordings without the distractions of an audience. Anyway, the sound here is quite good, if not quite so smooth or natural as in their older Harmonia Mundi recordings. The church acoustic comes up well, providing a pleasant ambient glow to the music. While bass and treble might have been a tad better extended, the midrange is very clear, only a touch forward at times in the upper regions. There is also a very wide stereo spread involved, with a realistic orchestral depth, so the result is comfortable and rewarding. Jorge Federico Osorio, piano. Cedille Records 90000 086. The opening piece on the disc, "Estrellita," is ravishingly, heart-meltingly exquisite, and pianist Jorge Federico Osorio captures perfectly its beauty and charm. It's just the beginning of an album filled with such delights. 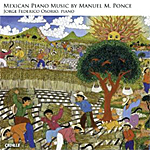 People probably know Mexican composer Manuel Ponce (1882-1948) best for his guitar works, but the booklet note reminds us that the composer's favorite instrument was the piano. The disc contains twenty-two short works for solo piano, most of them almost as attractive as "Estrellita." Ponce based the music largely on Mexican and Cuban folk tunes, but there's a lot of originality at play as well. Moreover, most of the music is light, romantic, and lyrical, Osorio playing with a delicate touch. Perhaps the only exceptions to this style are the Estudios de Concierto Nos. 3, 7, and 12, which tend to be more outgoing and extroverted. If there is any minor snag to the album, it's that by the time it's over, you may feel a lot of it sounded alike. So be it; it's a lot of very nice alike. Among the other items you'll find on the disc are three Canciones Mexicanas; three selections from Trozos Romanticos; the elegant Legende; eight Mazurcas, styled after the Polish dances; the Suite Cubana, inspired by the more sensual music of Cuba; and Deux Etudes Pour Piano, dedicated to Artur Rubinstein. Osorio seems at home with all of it. One of my favorite audio engineers, Cedille Records' Bill Maylone, engineered this one, capturing the piano most realistically. No fear here of a twenty-foot instrument spread across your living room. Instead, the piano is miked at a moderate distance, presenting a modest but still imposing size, with sonics that are never hard or glaring, yet never soft or lumpy, either. In fact, the piano sounds like a piano, which is all that one could ask for. This is beautiful music, beautifully recorded. Also, Ravel: Daphnis et Chloe Suite No. 2; La Valse. Jean-Claude Casadesus, Royal Philharmonic Orchestra. Royal Philharmonic Masterworks RPM 28180. Russian composer Modest Mussorgsky (1839-1881) wrote one of the most vivid collections of tone poems (or "sound pictures") ever written, Pictures at an Exhibition, as a piano suite in 1874. Later, various people orchestrated it, the most famous and oft-recorded version being the one we have here, arranged by French composer Maurice Ravel (1875-1937) in 1922. 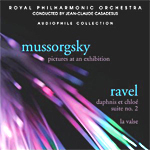 Because of the popularity of the Mussorgsky/Ravel work, practically all the world's conductors and orchestras have performed it, and most of them have even recorded it. Competition is understandably fierce among current recordings, but there is always room for another good one. Mussorgsky based the various segments of the suite on his musical impressions of paintings by his friend, the artist Victor Hartman. The idea is that you, the listener, are wandering through a gallery viewing the pictures, with the composer going so far as to give us a musical number, the "Promenade," for our stroll. Maestro Jean-Claude Casadesus, an old hand at this sort of thing, handles the opening "Promenade" nicely, providing a leisurely gait through the gallery and past the first of the pictures, the grotesque "Gnome," properly bizarre. By the time we arrive at "The Old Castle" and "The Tuileries" gardens however, things get a little prosaic for Casadesus, followed by a slightly more heavy-handed than usual "Bydelo" oxcart. I suppose the latter tempo is appropriate to the slow pace of the cart, but it seems a little overdone and tends to bring the music to a standstill. Fortunately, things take a turn for the better when Casadesus carries out the "Ballet of the Unhatched Chicks" successfully, the chicks scrambling about in their eggs and letting the music unfold naturally in a delightfully unforced manner. Following that, we get the two bickering old Jews, both in fine, contentious fettle. The scene at "Limoges--The Market" is aptly full of bustle and activity, leading to its tonal opposite, the "Catacombs" beneath the city streets, where Casadesus does a commendable job conjuring up the sights of skulls and bones. This music leads inevitably to "With the Dead in a Dead Language," an equally creepy piece of business. Mussorgsky and Ravel save their big guns for the last, "The Hut on Fowl's Legs" with its wonderfully spirited witch, and "The Great Gate of Kiev" with its power and majesty. Although I would liked to have heard Casadesus cut loose a bit more than he does, he animates the music reasonably well, even if he doesn't invest the closing passages with quite as much grandeur as I've heard from other conductors. Although this interpretation is more than satisfactory, for more thrilling accounts of the score, I would advise listening to the riveting version by Riccardo Muti and the Philadelphia Orchestra (EMI) or the incomparably colorful rendering by Fritz Reiner and the Chicago Symphony (RCA). The program concludes with two fitting companions to the Mussorgsky piece in Ravel's own Daphnes et Chloe Suite No. 2 (1912) and La Valse (1920). Here, Casadesus actually appears more at home, especially in recreating the light, airy, evocative, sometimes swirling moods of the Daphnes ballet and the more caustic tempers of La Valse. Produced in 2007 by the Royal Philharmonic and released in 2011 by Allegro Corp., the disc features very good sound, a part of the RPO's "Audiophile Collection." They tell us on the back cover of the case that it is a "20 bit digital recording, edited and mastered via 32 bit digital processing, recorded in high definition and playable on all CD players." Well, OK, that's a relief. The audio certainly displays a wide dynamic range and a strong impact, with fairly well-extended highs and lows. While the midrange is a tad soft and veiled and could be more open and transparent, it is, nevertheless, truthful enough in a real-life manner. What's more, there is a wide stereo spread and a good sense of hall ambience involved, with admirable front-to-back orchestral depth. In all, it's a good show. Also, Francesca da Rimini. Mikhail Pletnev, Russian National Orchestra. PentaTone Classics PTC 5186 385. The Symphony No. 5 (1888) by Peter Tchaikovsky (1840-1893) is a personal favorite of mine, and I would hardly have trusted anybody to do it more justice than Maestro Mikhail Pletnev and his Russian National Orchestra. Here, he provides a reasoned, well-proportioned account of the score, without as much of the histrionics we have come to expect from this music. In other words, he doesn't make the piece a show horse, choosing instead to take a more moderate, sensitive approach. It may or may not work for you. To each his own. The opening Andante sounds fluid, the "fate" theme well defined. But when the composer opens it up to a full-fledged Allegro con anima, the music doesn't have quite the full-throated passion we sometimes hear. In the slow Andante that follows, Pletnev connects the dots, so to speak. We can feel the natural relationship between this leisurely, poetic section and the music that preceded it. So, with Pletnev this is not to be a symphony of contrasts but one of unity, with the recurring hints of "fate" well integrated into the whole. The little third-movement Valse reminds us that Tchaikovsky wrote some of the most lyrical ballet music ever created. However, again Pletnev never overplays it, determined to bring out the more elegant, symphonic characteristics in the notes. Then, in the finale the composer gives us basically a repeat of the first movement, complete with a slow introduction, the restatement of fate, an energetic march, and a triumphant conclusion. Nevertheless, maintaining his stylish vision to the end, Pletnev seems a tad sedate compared to the more-animated interpretations of people like Mravinsky and the Leningrad Philharmonic (DG), Muti and the New Philharmonia (EMI), Jansons and the Oslo Philharmonic (Chandos), or even Haitink and the Concertgebouw (Philips). Frankly, while I admired Pletnev's intentions, I prefer a more red-blooded rendering of the music. The companion piece on the disc is Tchaikovsky's tone poem (or symphonic fantasy) Francesca da Rimini (1877). The music tells the story of an illicit love affair that ends in tragedy, so you know you're in for some heavy melodrama here. Pletnev, though, tends to overintellectualize much of it, particularly in the beginning, and it doesn't convey the fervor of Stokowski's old Everest performance. There is no denying the punch of the music in its second half, though, and Pletnev does a fine job communicating the final anguish of events. PentaTone recorded the multichannel sound at DZZ Studio 5, Moscow, in 2010, and they make it available on the current hybrid disc in five-channel SACD as well as two-channel CD and SACD. So, depending on your playback equipment, you have a choice of options. I listened to the two-channel SACD layer. The sound is pleasant, if not very exceptional in any way. It is very smooth, exhibiting a moderate degree of front-to-rear depth, a good dynamic range, and adequate impact, easily evident in the SACD playback mode. The areas that are slightly lacking involve ultimate midrange transparency, where things are a tad soft; air around the instruments, where things are a bit flat; and frequency extremes, bass and treble, which are not too deep or sparkling. Not that there is anything terribly wrong in these areas; they just aren't quite in the audiophile range. The 32nd Edition of the Festival International de Jazz de Montréal. More Than 750 Free Outdoor Concerts in Addition to 250 Indoor Concerts. Montreal - In total, more than 1000 concerts and activities await fans at the 32nd edition of the Festival International de Jazz de Montréal, presented by TD in collaboration with Rio Tinto Alcan! From June 25 to July 4, multiple musical celebrations, free outdoor mega-events, some thirty concert series, about fifty shows per day and a carnival's worth of entertainment and activities illuminate the downtown core of Montreal. Montrealers and their guests will find something for every conceivable taste in the wild array of diversity presented annually by the Festival. Legends from here and abroad, newcomers to the music scene, rising stars and undeniable icons all gather in our city, whether solo, as stars of a megaconcert, in minimalist combos or Big Bands, all pouring themselves into the heartbeat of the largest and greatest jazz festival in the world. It's an impressive free outdoor program in the heart of a city in tune with jazz, blues and world music, including a musical park for children, concerts, activities and entertainment, every day, from noon to midnight. Do the math: it's 10 days of musical pleasure. Banjoist-Arranger Jake Schepps Makes Musical Magic with the East-Meets-West Stringband Sounds on An Evening in the Village: The Music of Béla Bartók. The new album, to be released October 6, finds common ground between the piquant beauty of Bartók's take on Eastern European folk melodies and the Big-Sky vibrancy of new American acoustic music. It's a marvelous thing when aspiration meets inspiration and a musician takes a striking leap, not only moving his art forward but raising the bar for those around him. Colorado-based banjoist-arranger Jake Schepps has taken just such a leap with his album An Evening in the Village: The Music of Béla Bartók. Devoted to arrangements of folk-influenced musicby the Hungarian composer and pioneering ethnomusicologist Béla Bartók (1881-1945), An Evening in the Village helps broaden the horizons of the string band, proving that the scintillating mix of banjo, fiddle, mandolin, guitar, and double-bass need not be limited to Americana tradition.The roots-music magazine Dirty Linen was prescient when it said, "Jake Schepps and crew are part of a growing modern stringband movement that uses bluegrass instrumentation but produces music without border." An Evening in the Village sees Schepps and his virtuoso cohorts re-envision Bartók's modernist takes on old Eastern European melodies as if the collective were an Appalachian band jamming after hours in a Transylvanian town hall, the moods ranging from the gorgeously bittersweet title track and haunting full-moon "Melody" to the whirling, off-kilter hooks of "Ruthenian Kolomeika" and "Cousin Sally Brown," an old-time Anglo-American fiddle tune given an East-meets-West spin. The album was recorded in Nashville and Colorado, co-produced by Juno Award-winning banjoist Jayme Stone along with Schepps and mandolin ace Matt Flinner; the players include members of Schepps' band the Expedition Quartet and other top players on the new acoustic scene. The sophisticated arrangements and spirited performances capture the essence of the music--its mystery, humor, and crooked, folk-art beauty. Woodstock Mozart Festival Presents its 25th Anniversary Season, July 30-August 14, featuring the music of J.C.F. Bach, Barber, Beethoven, Duport, Liszt, Mozart, Prokofiev, and Thalberg. Chicago--A diverse season of composers and award-winning artists combine in celebration of the Woodstock Mozart Festival's Silver Anniversary July 30-August 14, 2011 at the Woodstock Opera House, featuring three concert programs, a piano recital and two master classes. Cello Concerto No. 6 in D Minor by Jean-Louis Duport. Adagio for Strings by Samuel Barber. Symphony No. 35 in D Major, K. 385 "Haffner" by Wolfgang Amadeus Mozart. Piano Concerto No. 2 in A Major by Franz Liszt. Symphony No. 1 in C Major, Op. 21 by Ludwig van Beethoven. Suk also leads a piano master class August 7 at 5:15 p.m.
Sinfonia Concertante for Violin and Viola in E-flat Major, K. 364 by Wolfgang Amadeus Mozart. Symphony No. 7 in A Major, Op. 92 by Ludwig van Beethoven. On Saturday, August 6 at 2 p.m. Mykola Suk performs a nearly all-Liszt piano recital featuring the composer's Fantasia quasi Sonata: Aprés une lecture de Dante (1849); Les Cloches de Genève (The Bells of Geneva) (1835–6); and Hungarian Rhapsody No. 12, as well as Fantasie sur l'opéra "moise" de Rossini, Op. 33 by Sigismund Thalberg. The 2011 Woodstock Mozart Festival takes place July 30–August 14 at the Woodstock Opera House, 121 Van Buren Street, Woodstock. Tickets are $30–52 for each of the three orchestral concert programs (Saturdays 8 p.m., Sundays 3 p.m.); $20 for the piano recital by Mykola Suk (Saturday, August 6, 2 p.m.); and $10 for the master classes with Peter Hörr (Sunday, July 31, 5:15 p.m.) and Mykola Suk (Sunday, August 7, 5:15 p.m.). Tickets are available through the Woodstock Opera House Box Office at 815-338-5300 or at woodstockoperahouse.com. For more information about the Festival, visit mozartfest.org. The Woodstock Mozart Festival's first performances were held in 1987 at the restored 1880s Woodstock Opera House in an environment reminiscent of Mozart's day. From the beginning, the Festival showcased internationally recognized guest artists and conductors during its three weekends of concerts in late July and early August. The Festival's goal is to maintain a superb orchestra that delivers extraordinary performances that inspire and educate audiences of all ages under the banner "Mozart…and More!". The Woodstock Mozart Festival is a member of the League of American Orchestras and the Illinois Arts Alliance. Funding is provided by the Illinois Arts Council, the Gaylord and Dorothy Donnelley Foundation, the Arts Work Fund for Organizational Development, the MacArthur Fund for Arts and Culture, the AptarGroup Charitable Foundation and private and corporate contributions. 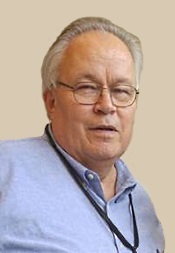 Paul Dombrecht, Il Fondamento. Fuga Libera FUG580 (2-CD set). German organist and composer Johann Sebastian Bach (1685-1750) wrote a prodigious amount of material, but, surprisingly, only four orchestral suites, a French-influenced Baroque form much favored in his day. Recent research reveals that Bach wrote the four suites (or "overtures" as people sometimes call them, referring to their elaborate opening movements) during the years 1716-1723, later revising them between 1725-1739 in the arrangements we know best today. I mention these revisions because conductor Paul Dombrecht takes a slightly different approach to the suites than other conductors do. There are about sixteen players involved in the performances, but the recording makes the ensemble sound a lot bigger, despite the fact that Il Fondamento play the suites in their original form without trumpet or timpani in Nos. 3 and 4 and a solo violin replacing the flute in No. 2. The composer appears to have added the other instruments later for reasons of greater pomp, ceremony, or solemnity. The music sounds fine without the later augmentations, if anything a tad more transparent than usual, although I confess I do miss the timpani. Maestro Dombrecht founded Il Fondamento in 1989, he and his players dedicated to historical instruments and music practices of the eighteenth and nineteenth centuries. There are, of course, any number of period-instrument recordings that one might also enjoy, including those from the English Concert, the Academy of Ancient Music, Le Petite Bande, Boston Baroque, Amsterdam Baroque, and the like; however, the recording this one reminds me of most is that of Jordi Savall and Le Concert des Nations on the Astree label, at least in terms of playing style, if not in the distribution of instruments. Starting with the Overture of Suite No. 1, we can see where this music-making is going. It can be stately and sedate one minute and sprightly and spirited the next. This was Bach's intention, of course, to contrast fast and slow movements, and slow and fast sections within movements, throughout the pieces. Suite No. 3, probably the most popular for its famous Air, shows Il Fondamento to best advantage, stylish and elegant. The recording, made in 2010 at the Chapel of the Cloister of the Sisters of St. Vincentius a Paulo, comes up well, making, as I said earlier, the ensemble sound bigger than the relatively few players participating. Still, despite the big sound, the separate instruments stand out nicely, with each soloist given his or her fair share of distinct individuality, the group as a whole displaying plenty of clarity and air. The miking is close enough to capture a lifelike texture and presence yet distant enough to show off the resonant acoustic of the chapel. Sir Simon Rattle, Berlin Philharmonic Orchestra. EMI 0946 3 39382 2. 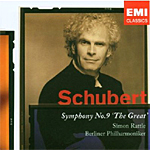 Recordings of Schubert's music are always welcome, especially from so accomplished a conductor as Sir Simon Rattle and so refined an orchestra as the Berlin Philharmonic. But in the Schubert Ninth Sir Simon has his work cut out for him with the competition so tough. The Ninth, a wonderful symphony filled with one memorable tune after another, has the double advantage of being open to varied interpretations. Like much of Schubert's music, the Ninth is music one can interpret lightly and cheerfully, and such conductors as Joseph Krips (Decca or HDTT), George Szell (Sony), and Georg Solti (Decca) have provided us with delightfully buoyant performances. Yet the exceptional length of the work--the longest non-choral symphony until Bruckner and Mahler years later--also encourages a more serious reading, and people like Otto Klemperer (EMI), Jeffrey Tate (EMI), and Gunther Wand (RCA) have given us just such recordings. Rattle takes the former course, his Ninth being full of sparkling high spirits. For purposes of this review I compared it to both a heavier and a lighter-weight performance, those of Tate and Krips. Not surprisingly in this comparison, Tate seems not just heavier but almost heavy-handed. Not that I dislike what Tate does, but it's a performance that one should listen to entirely on its own rather in comparison with anything else; otherwise, you lose track of what Tate is trying to do. However, compared to Krips, Rattle is not so sprightly or festive, either. Krips provides a thoroughly joyous Ninth, and he outshines Rattle at almost every point, Krips's rhythms springier and bouncier, with Rattle a tad more calculated and conservative. So we've got Rattle sort of in the middle here; but it's only in direct comparison that the differences are noticeable. On its own, Rattle's rendering of the symphony is quite charming. In terms of sound, EMI's live recording for Rattle is more than acceptable, if a touch fuzzy around the edges. Tate's recording, for instance, displays more ambient bloom while also being better focused; Krips's recording, particularly in the HDTT remastering, is a little less warm but far more sharply defined. Still, I doubt that too many listeners are going to complain about the sound of the Rattle/BPO disc. Nothing can mask the sheer, radiant beauty of the music they make. Also, Handel: Arias. Lorraine Hunt Lieberson, mezzo-soprano; Nicholas McGegan, Philharmonia Baroque Orchestra. Philharmonia Baroque PBP-01. In the interest of full disclosure, I have to admit that the Philharmonia Barque Orchestra is probably the one orchestra I've listened to in-person more than any other. My being a San Francisco Bay Area native and the orchestra being based in the Bay Area these past thirty years or so, I have been able to enjoy a number of their live performances. I have also included the orchestra as a top choice for several works in my "Basic Classical Collection." So, yes, it's always a pleasure to hear a new recording from them. Philharmonia Baroque is a period-instruments ensemble founded in 1981 and led by its current conductor, Nicholas McGegan, since 1985. They always play with style, panache, refinement, and well-informed period practices. What's more, they have had the good fortune over the years to make quite a few excellent-sounding recordings with Harmonia Mundi, BMG, and Reference Recordings. 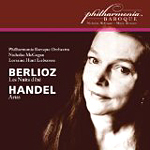 Their 2011 release of Berlioz's Les Nuits d'ete is the first in a series of discs they are producing themselves, though continuing their distribution with Harmonia Mundi. French composer Hector Berlioz (1803-1869) wrote his song cycle Les Nuit d'ete (Summer Nights) in 1841, based on six poems by Théophile Gautier. In 1856 Berlioz orchestrated the works in the form we hear them on this program, sung by the late, great mezzo-soprano Lorraine Hunt Lieberson. While the music is a kind of hodgepodge of pieces the composer worked on over a period of years, there is a distinct personality to every segment that reminds us this was the same man who wrote the Symphonie fantastique and Harold en Italie. About the only thing critics and historians agree upon is that Berlioz probably titled the collection Summer Nights in tribute to William Shakespeare, whom he adored, and A Midsummer Night's Dream. Ms. Lieberson sings the pieces with apt emotional involvement, the songs varying only a little in their nostalgic, sentimental, melancholy, sometimes melodramatic longing. Lieberson's voice soars or simmers as the occasion demands, always providing a comfortable setting for the music. By the time she reaches the third section, "Sur les Lagunes," there is a thrillingly tragic element introduced that quite steals the show. One hardly notices McGegan and the orchestra, they integrate their support so smoothly into the production. Without question, Ms. Lieberson and the Philharmonia Baroque appear ideally suited to this material, producing exquisite realizations of the music. Accompanying the Berlioz numbers, we get a series of seven arias that George Frideric Handel (1685-1759) composed especially for one of his favorite singers, Margherita Durastanti. Again we find Ms. Lieberson in ravishingly beautiful voice, and one can only imagine she would have made Handel proud with her range, intensity, dynamism, and effortless execution. 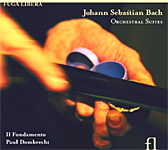 Although Philharmonia Baroque released this disc in 2011, they recorded it in 1991 and 1995, live at one of their several San Francisco Bay Area venues, First Congregational Church in Berkeley, California. The sound is rather resonant, with plenty of hall ambience. One notices a bit of background noise and audience rustling throughout, too, a minor distraction we have all become used to in live productions. Ms. Lieberson's voice dominates the proceedings, as it should, the orchestra generally well in the background; however, when the orchestra does come to the fore, it does so in fairly well-defined terms, if not terribly extended in the bass or treble. Overall, Ms. Lieberson's vocals and the orchestra are clear and lifelike, although both voice and ensemble are also a tad bright and hard, perhaps again the result of the live recording. On the Handel, there is an occasional touch of echo, and we must put up with applause at the end of each selection. They are small prices to pay for such eloquent performances. Milos Karadaglic, guitar. DG B0015579-02. There appears to be a renaissance of some kind going on in the recording of classical guitar music. Following hard on the heels of Scottish guitarist David Russell's album of music by Albeniz comes this new release of Mediterranean music from Montenegrin guitarist Milos Karadoglic. Both discs are almost equally rewarding. Milos's album begins on familiar ground with Isaac Albeniz's "Asturias" in a smooth, effortless performance of music with a strong Spanish flavor. Milos (who apparently prefers the first name only, which I hope does not become an affection as with Liberace, Cher, or Kennedy) plays with great tenderness. Indeed, it is this "heart" that permeates all the music on the disc. The rest of the tracks follow suit. Tarrega's celebrated "Recuerdos de la Alhambra" practically brings tears to one's eyes. Then, more Albeniz and Tarrega follow--"Sevilla" and "Lagrima"--again played for maximum emotional effect. This is, after all, music that most touch the senses, and it is in this regard that Milos scores most heavily, above and beyond the virtuosic finger work on display. When Milos is performing live, he says "it's close to dreaming for me--afterwards I don't remember much about it. I just remember feeling very well, with a high level of energy and emotion." That sentiment might just as well describe his studio music making here. Milos then turns to an anonymous "Romance," accompanied by the English Chamber Orchestra, that is quite lovely, succeeded by more Tarrega and Albeniz. 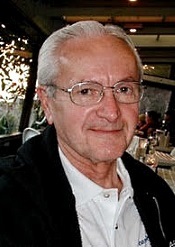 By the second half of the program, he's into music by Italian guitarist Carlo Domeniconi, Greek composer Mikis Theodorakis, Spanish guitarist Miguel LLobet, and Spanish composer Enrique Granados, all of the music chosen for its subtle, dreamy, nostalgic, sentimental, sometimes vibrant, sometimes melancholy virtues. 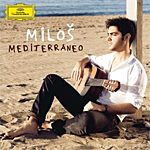 For using largely quiet, meditative music, Milos produces a surprising variety of moods. The sound, recorded by DG in London, 2010, is both resonant and refined. While it isn't quite as closely miked or as brilliantly transparent as Telarc's sound for David Russell, DG create a warm, relaxing sonic experience that closely matches Milos's ultrasmooth playing style. The Music Institute of Chicago, the oldest community music school in Illinois and one of the three oldest in the nation, and the Chicago Duo Piano Festival announce the "Liszt 200 Chicago" International Duo Piano Competition, in celebration of Franz Liszt's 200th birthday. This international competition takes place on Liszt's 200th birthday weekend, October 21-23, 2011, at the Music Institute of Chicago's Nichols Concert Hall, 1490 Chicago Avenue, Evanston, IL. The competition is open to piano duos ages 16-35 from around the world. Prizes include the Grand Prize "Liszt 200 Chicago" ($8,000), second prize ($4,000), third prize ($2,000), and the "Norman Pellegrini Schubert Prize" for the best performance of a work by Schubert ($2,000). The application deadline is September 1, 2011. Contestants are strongly encouraged to apply early. For information on specific recital requirements, visit Music Institute of Chicago's Community School Competitions Web page. Called a "duo piano mecca" by Pioneer Press, the Chicago Duo Piano Festival was founded in 1988 by Music Institute of Chicago faculty members Claire Aebersold and Ralph Neiweem. Its mission is to foster a deeper interest in the repertoire, performance, and teaching of music for piano, four hands and two pianos, in a fun and supportive atmosphere. The Music Institute of Chicago believes that music has the power to sustain and nourish the human spirit; therefore, our mission is to provide the foundation for lifelong engagement with music. As one of the three largest and most respected community music schools in the nation, the Music Institute offers musical excellence built on the strength of our distinguished faculty, commitment to quality, and breadth of programs and services. Founded in 1931 and one of the oldest community music schools in Illinois, the Music Institute is a member of the National Guild of Community Schools of the Arts and accredited by the National Association of Schools of Music. Each year, our world-class music teachers and arts therapists provide the highest quality arts education to more than 5,000 students of all ability levels, from birth to 101 years of age at campuses in Evanston, Highland Park, Lake Forest, Lincolnshire, Winnetka, and Downers Grove. The Music Institute also offers lessons and programs at the Steinway of Chicago store in Northbrook and early childhood and community engagement programs throughout the Chicago area and the North Shore. Nichols Concert Hall, our education and performance center located in downtown Evanston, reaches approximately 14,000 people each year. Our community engagement and partnership programs reach an additional 6,500 Chicago Public School students annually. The Music Institute offers lessons, classes, and programs through four distinct areas: Community School, The Academy, Creative Arts Therapy (Institute for Therapy through the Arts), and Nichols Concert Hall. Ursula Oppens, piano, with Jerome Lowenthal in two-piano works. Cedille CDR 90000123. Although folks have been recording his music as much as ever, I hadn't personally heard anything from John Corigliano (b. 1938) for a while; so it was nice to hear this new album of piano music from Cedille, played with care by the distinguished American pianist, Ursula Oppens. Corigliano, as you probably know, is an American composer, teacher, and Pulitzer Prizewinner, a music professor at Lehman College, City University of New York, who numbers among his more-famous pupils Avner Dorman, Scott Glasgow, Elliot Goldenthal, Edward Knight, John Mackey, Nico Muhly, David S. Sampson, and Eric Whitacre. 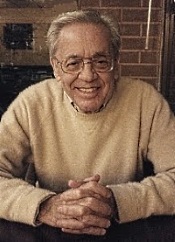 While he has written most of his compositions for orchestra, the present disc contains several of his popular piano works and a world-premiere recording of the title piece. 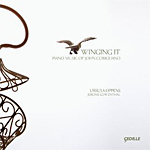 The program begins with the first-ever recording of Winging It (2007-08). Playing on a Steinway, Ms. Oppens effortlessly captures the remarkable dynamic range of the music from loudest to softest passages. Corigliano based the three movements on improvisations he made, and he titled them with the dates he first played them. He explains in a booklet note the difficulty he had transcribing the improvs, which seems a contradiction when you think about it. I mean, if it's written out, is it any longer an improvisation? But I quibble. The piece follows a traditional fast-slow-fast arrangement, with the slow movement most affecting and the others a bit clamorous. Next up is Chiaroscuro for Two Pianos Tuned a Quarter Tone Apart (1997), also in three movements, these titled "Light," "Shadows," and "Strobe," which Ms. Oppens performs with Jerome Lowenthal. Here, Corigliano says he was "looking for the expressive power between two notes, as a blues singer does." The effect is often startling and always intriguing as the music explores the allocation of light and shade in the music. Following Chiaroscuro comes Fantasia on an Ostinato (1985), a single, brief movement that develops, as the title suggests, a recurring melodic fragment. The Van Cliburn International Piano Competition commissioned it as a piece to be played by their twelve semifinalists, and Corigliano intended it to exercise each pianist's imagination while working with something entirely new to them. It is quite the most-charming piece of music on the disc, and I wonder how Ms. Oppens would have scored in the competition. I would have given her an A. After that is Kaleidoscope for Two Pianos (1959), again with Mr. Lowenthal accompanying Ms. Oppens. Corigliano calls it a "colorful mosaic of changing symmetrical patterns." He wrote it while he was an undergraduate at Columbia University, and it is full of pleasantly youthful energy, which Ms. Oppens seems happy to exploit. The album closes with Etude Fantasy (1976), five etudes, piano studies, beginning with a rather forward statement from the left hand only. Things settle down thereafter, although the work contains just about everything you can think of before it comes to a vociferous climax, then falling off into silence in a graceful, melodious ending. Recorded in December, 2010, at the American Academy of Arts and Letters, New York, the sound is most realistic. The miking seems perfectly judged to produce a piano tone that actually appears to be coming from a distance of the listener to the speakers, in my case about eight-to-ten feet. Clarity is outstanding without sacrificing nuance, warmth, or resonance. Impact is strong, and the piano size is lifelike rather than stretching across the room. Also, Rondos and fragments. 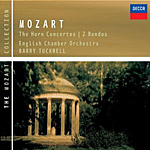 Barry Tuckwell, horn; English Chamber Orchestra. Decca B000573702. Horn virtuosos must have a hard time finding enough concertos written specifically for their instrument to fill up a very large stock of recordings, so it's understandable that Australian horn virtuoso Barry Tuckwell, one of the finest horn players in the world, would record Mozart's popular Horn Concertos over and over. By my count, Tuckwell has recorded them at least four times, this one, performed with the English Chamber Orchestra in 1983, among the very best he's done. It was the first of several recordings of the works he would do digitally, and he leads the orchestra as well as plays the instrument. The performance finds him as his most easygoing, amiable best, the horn sounding like melted butter, and the sprightly hunting melodies coming out as pleasingly as one could want. They perhaps lack the ultimate elegance and distinction that marked Dennis Brain's famous mono set with Karajan (EMI), but the Tuckwell set has charms all his own, not the least of which is the generally excellent support of the ECO, the sound Decca provide, and the accompanying Rondos and fragments. I don't usually like to tell people what to buy, it's not my business, but I should think that anyone interested in classical music would own at least three accounts of the four Horn Concertos: a recording on period instruments, one on modern instruments, and the one with Dennis Brain. For period instruments, my own favorite is the release from horn player Lowell Greer, conductor Nicholas McGegan, and the Philharmonia Baroque Orchestra on Harmonia Mundi; for modern instruments, my favorites are the Tuckwell reviewed here, plus Alan Civil with either Rudolf Kempe or Otto Klemperer on EMI and Eric Ruske and Charles Mackerras on Telarc. And to make good things ever better, they all sound full and rich, the Telarc perhaps the smoothest. In any case, it's nice of Decca to reissue Tuckwell and the ECO at mid price; it makes a tempting buy.